This wonderful piece is brought to you straight from Italy. 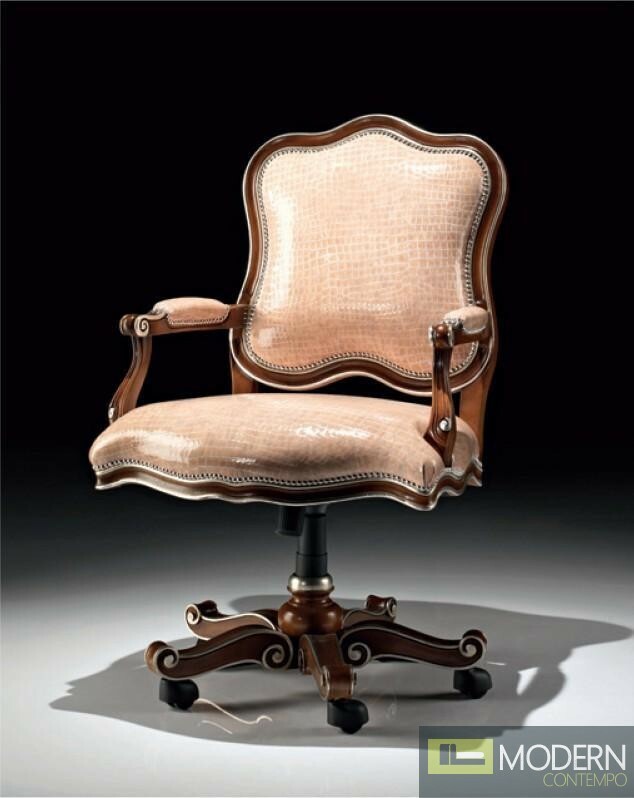 The arm chair is constructed of carved hardwood and upholstered in cream-colored leather with a crocodile-etched pattern in it. The chair sits on casters, affording it the convenient ability to move around.